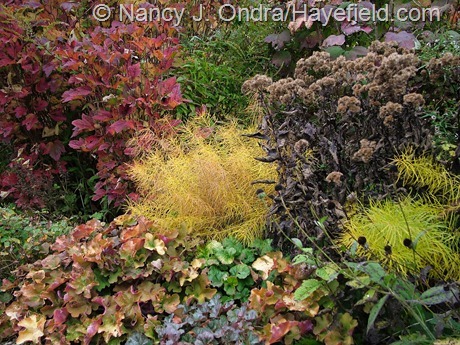 It’s that time of year again: time for the Fall Color Project, hosted by Dave at Growing the Home Garden. This is my fifth year participating in this event. Compared to some other years, this season’s fall colors in my part of southeastern Pennsylvania haven’t been the most spectacular. In fact, until about a week ago, I was wondering how I could possibly scrape up enough decent photos for a whole post.